Earth Tech Environmental LLC. 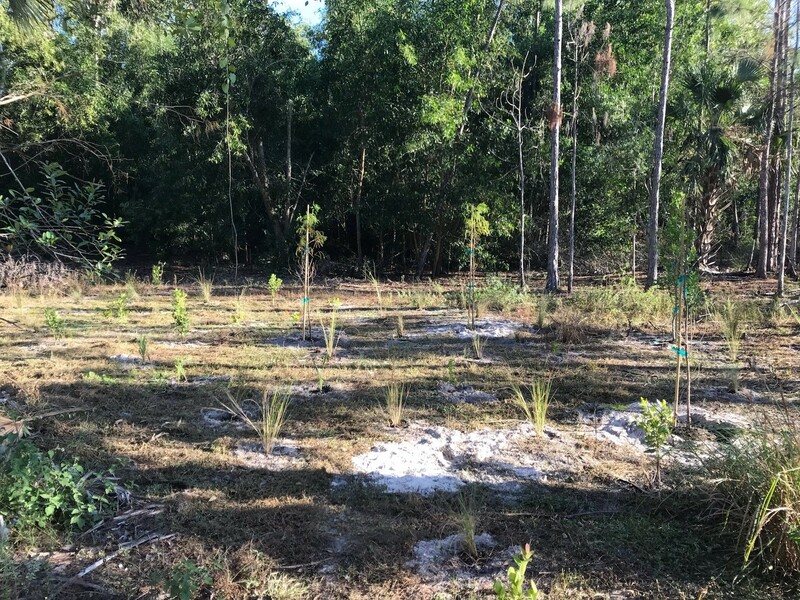 recently completed a native planting at Yahl Mulching and Recycling Inc. ETE installed a mix of 1200 plants in the wetland preserve. The installed plants included bald cypress, dahoon holly, red maple, wax myrtle, cocoplum, myrsine, cordgrass, muhly grass, arrowhead, and yellow canna. As the preserve matures, the diversity of installed plants will lead to an increase in the biodiversity of the community and create the potential for new species to move into the preserve. Plants such as arrowhead and yellow canna prefer to be in lower lying areas that are prone to standing water during the rainy season, while other species like cocoplum prefers slightly higher areas out of standing water. Considering plant placement within a preserve increases the potential for growth and likelihood of survival. Earth Tech Environmental has completed hundreds of successful preserve plantings as well as littoral shelf plantings and other restoration plantings. With our new native nursery, we are now able to supply some of our own plants and in the future we aim to supply them all!